Halifax regional council has approved a special 25-year property tax deal for Irving Shipbuilding, but many people are unhappy about the deal. "The issue is why is this deal only for the Irvings. There are lots of taxpayers in the city who are struggling under high taxes and high assessment, yet today the city only did a deal for one organization and that's for the big guy, the Irvings," said Kevin Lacey, the Atlantic director with the Canadian Taxpayers Federation. The tax deal was accidentally disclosed — but not debated — in late March, after a year of negotiations between the city and Irving officials. Irving has appealed recent Halifax assessments on the new shipyard facility. The deal will see Irving pay $563,000 in taxes this year on the facility where it will build ships for the Royal Canadian Navy. Irving Shipbuilding had been paying $1.6 million per year on property taxes as the new shipyard facility was being built. The company will now receive a refund from the city for the difference. "We're actually going to have to give back some of the money the Irvings rightfully owe on those taxes," said Lacey. 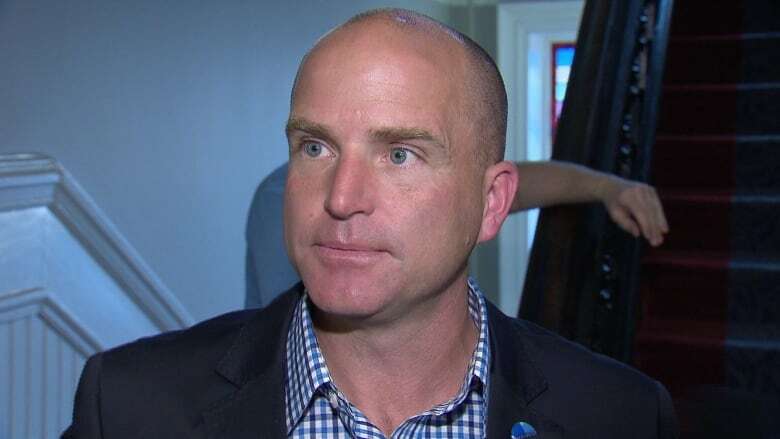 Councillor Matt Whitman says the city is earning less than it was before the upgrades were made at the shipyard. "We went from $576,000 and we wanted $1.6 [million] and we ended up at $563,000. We actually went backwards," he said. Whitman is unhappy that after receiving hundreds of millions of dollars of money from the provincial government, the Irvings are getting more money from taxpayers. Under the 25-year deal, Irving will pay $569,000 a year with a one per cent annual increase. An additional $1,000 will be paid per worker when the workforce size is above 1,000 employees. In an emailed statement, Irving Shipbuilding said the projected property taxes will double by 2020 and quadruple by 2024, compared to current levels. The company also said special tax deals are not uncommon for single-purpose facilities. "Fairly taxing a specialized manufacturing facility like a shipyard is a unique challenge. A single-purpose facility like a shipyard does not frequently transfer on the open market and therefore it is very difficult to estimate "market value" for property tax purposes," Mary Keith, a spokesperson, wrote in an email. "This agreement provides certainty of how property tax revenue will be determined for the city and certainty of costs to Irving Shipbuilding." The company also cited property tax deals municipal officials have struck with the Halifax Stanfield International Airport and the Imperial Oil refinery in Eastern Passage. "We understand that this type of agreement is not unique," Keith wrote. Greg Keefe, the chief financial officer for the Halifax Regional Municipality, wouldn't say how much money the city would have collected if the deal wasn't on the table. "The current tax bill is irrelevant," he said. Halifax defended the deal by saying it feared a drawn-out legal fight with Irving. Whitman did not agree with that line of thinking. "The worst thing you can say to me is, 'This is going to avoid legal battles.' I don't like making decisions with my hands tied, so I don't make decisions to avoid legal battles," he said.